India Tourism Destinations are Popular Places to Visit in India! Amazing India tourism destinations are great places to set your travel sites on! India is an incredible country with unique beauty that is full of color and wonder for visitors to explore and experience! 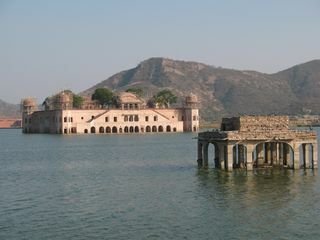 We call the places that you simply must see top tourist destinations in India. India is full of culture, kind people, amazing temples, palaces, parks and much, much more to see! 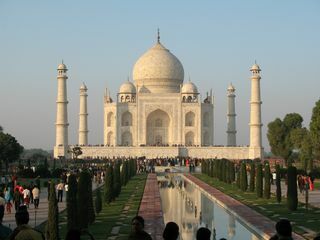 To top it off; India heritage destinations are fascinating, historical, breath-taking and beautiful. India is enormous and its top travel destinations are spread out around the country! What does this mean to a traveler? It means you'll need a lot of time to see all of the top tourist destinations in India! A good plan is to pick your top five or ten choice places, and go see those first. Make sure you pin-point your destinations on a map so it makes sense geographically to see them in the same trip. You can always plan a future trip to see places you miss the first or second time. You will also want to make sure you use a good, reputable travel agency to get you to India and back. We can help you plan for your trip to India. We created this portion of India In Your Home to help you learn about the top India Destinations and to give you travel tips and advice. Not only can you find information about the best places to visit, but we will soon add a feature to the India tourism destinations pages that will allow our visitors to share experiences about places they've been and give their recommendations or advice about visiting these destinations. In other words, these pages will be super interactive and informative, so be sure to bookmark us! Visit us to get information on places worth seeing; deciding where you want to go is the first step to planning any trip. Visiting us allows you to determine which places appeal to you most. Plus, when you travel to India, you will want to make efficient use of your time! Let's go over our top India tourism destinations! Each destination is, or will soon be, a link. If the link is not active yet, it means we are building that page right now, so come back and see us when it's done. If you subscribe to our RSS feed, we'll notify you whenever a new page is completed. Taj Mahal in the city of Agra in the state of Rajasthan . Red Fort in the city of Agra, in the state of Rajasthan. Mehrangarh in the city Jodhpur, in the state of Rajasthan. Jantar Mantar in the city of Jaipur, in the state of Rajasthan. Leave India tourism destinations to discover what it's like in India today! Check out these useful traveling tips for visitors of India. Explore more about India from our homepage.